Add a pop of brilliant color to your loved one's day! 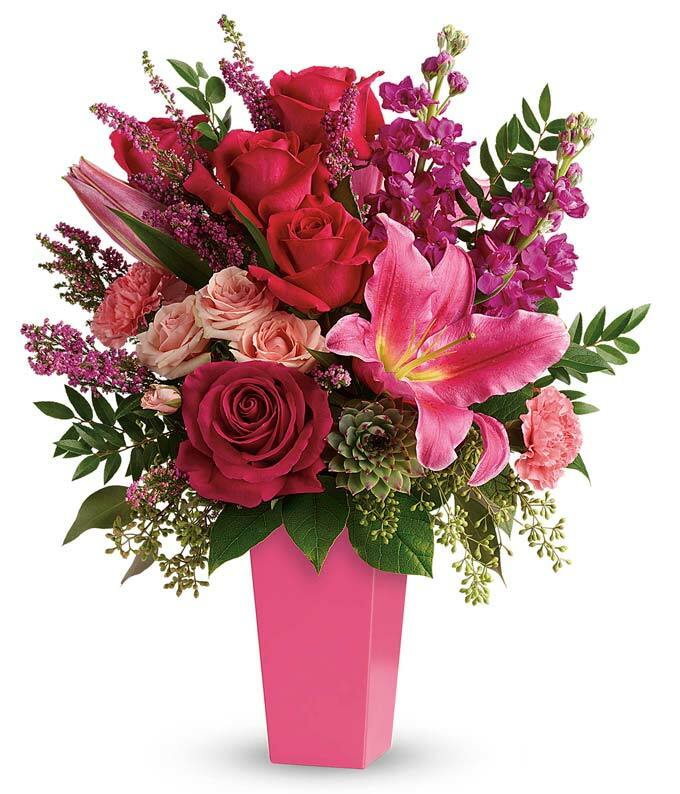 This spectacular modern arrangement is bound to delight when it arrives hand delivered to your recipient's door! Approximate arrangement Height 15", Length 19"